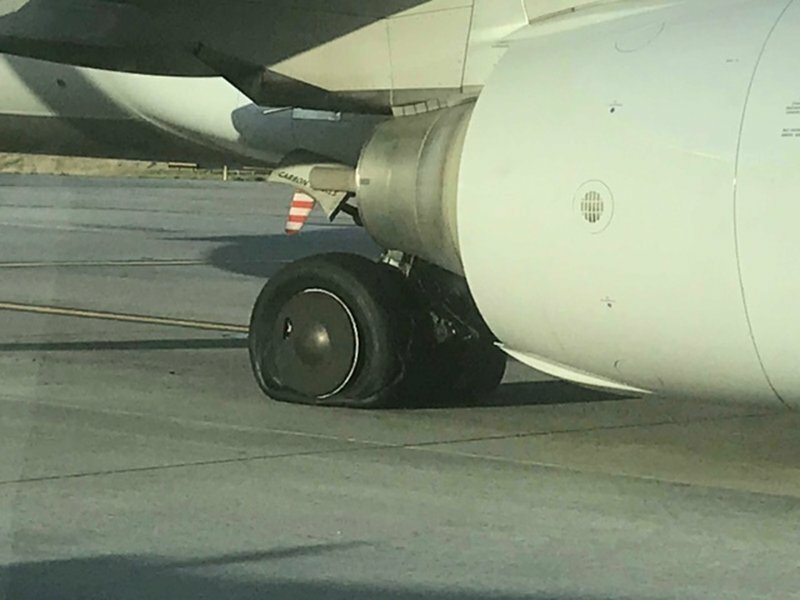 Passengers on a United Airlines flight from Boston to Denver had to be bussed to the terminal after it was found the aircraft had burst two tyres. Flight UA448 had landed safely at Denver on Monday evening and according to United, the tyres flattened after landing on the Boeing 737 aircraft. An airport spokesperson said that the aircraft had stopped on the taxiway, once the problem was discovered and then 165 people on board were loaded onto buses, which transported them to the airport terminal, no injuries were reported.